Athletics executive Billy Beane says Sean Manaea (shoulder) could return to the team around the All-Star break. 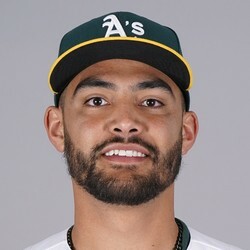 Manaea is currently rehabbing a torn labrum that required surgery in September. There was originally some thought he could miss the entire 2019 season, but there's now some hope he could return much sooner. More will be known in the coming months, but it's unlikely Manaea carries much fantasy value next year.